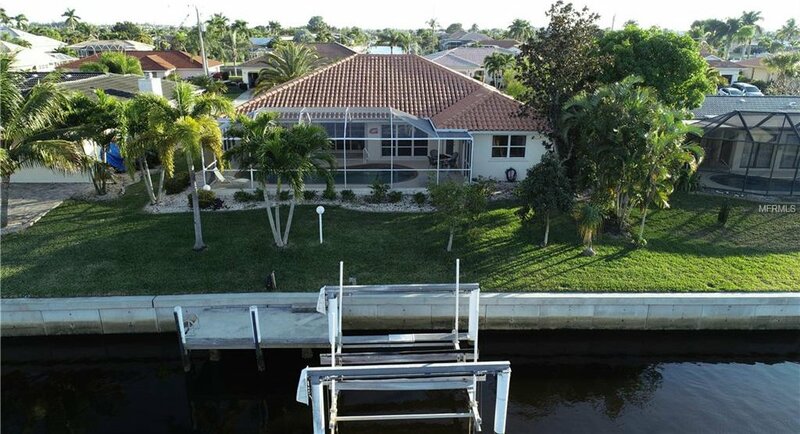 A BOATERS DREAM HOME!! 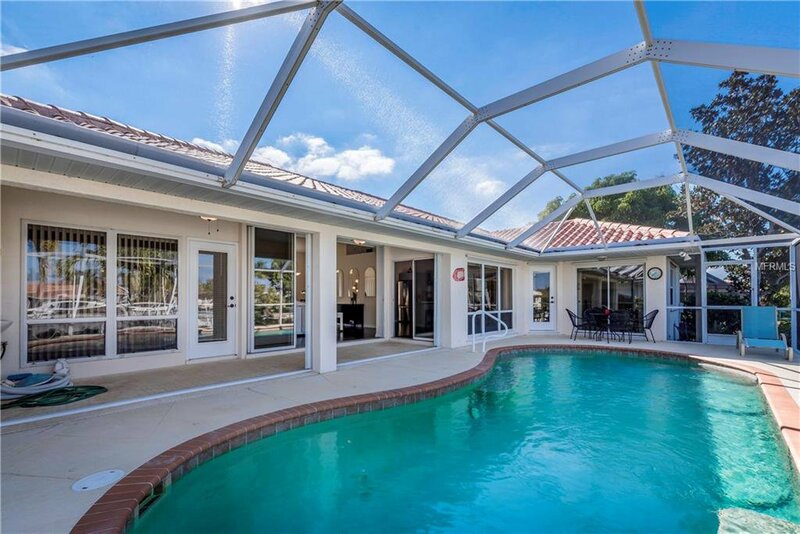 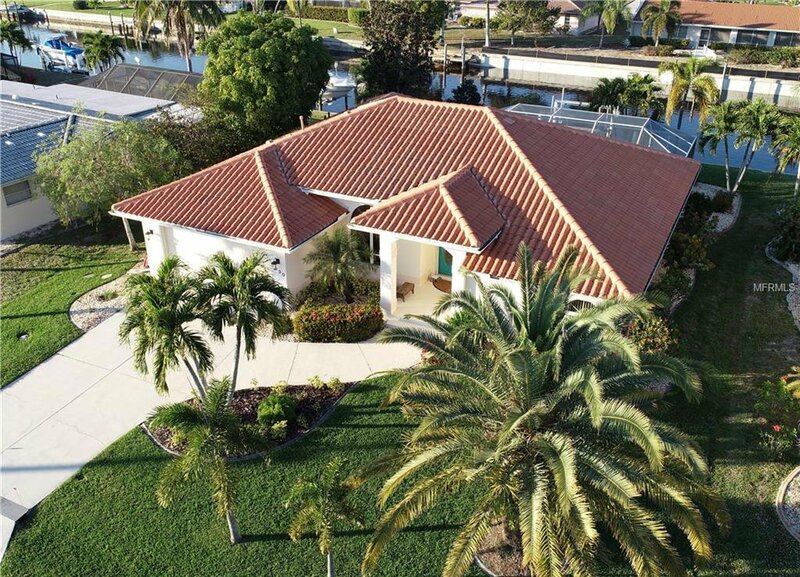 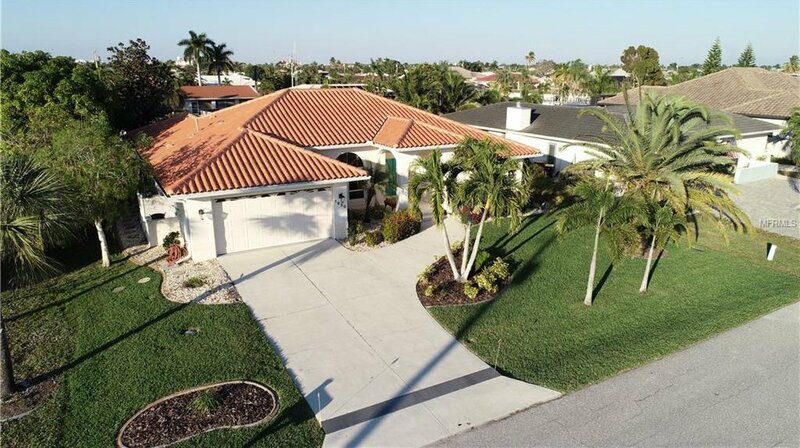 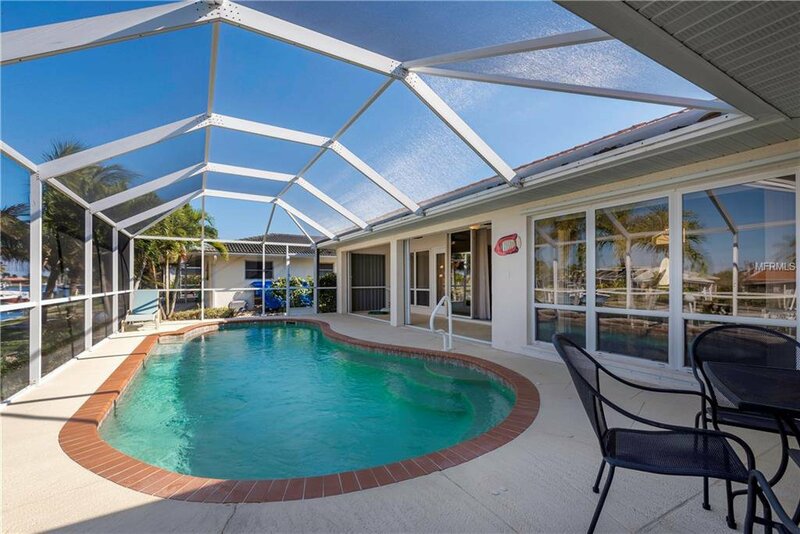 Quick powerboat water access to Charlotte Harbor with this updated 3/2/2, pool home. 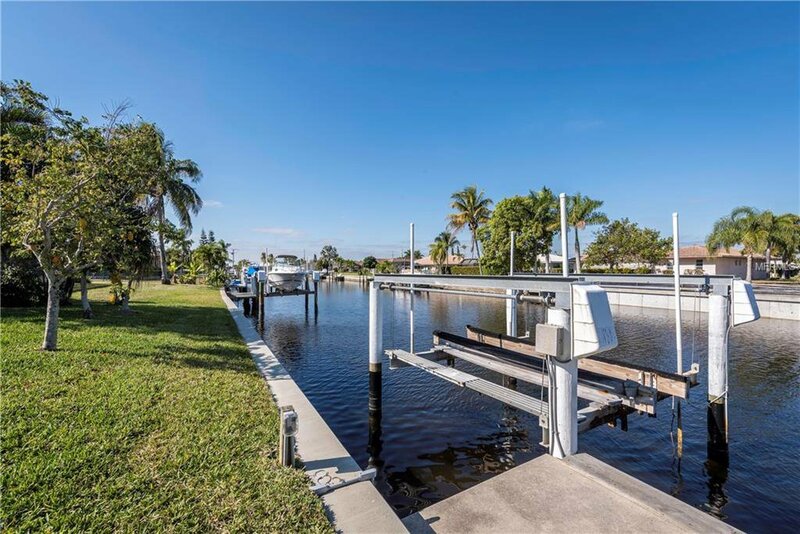 A perfect spot to enjoy boating and amazing water views. 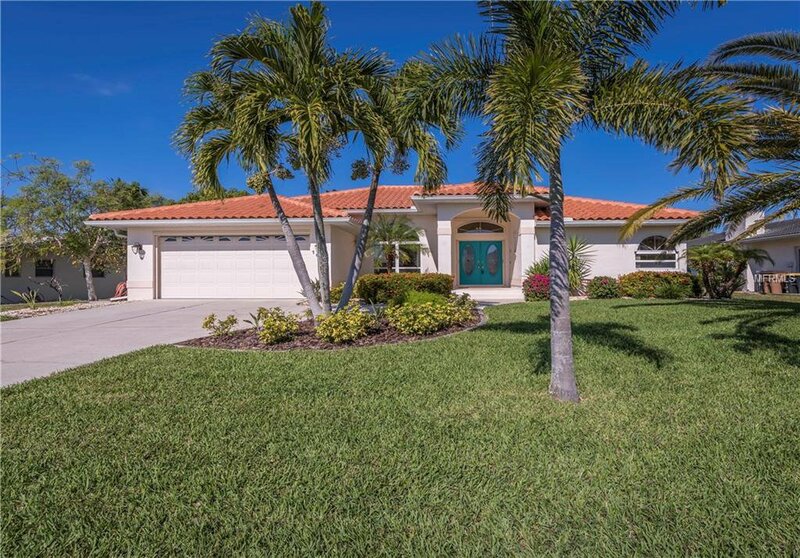 See Virtual Tour Link 1 for video. 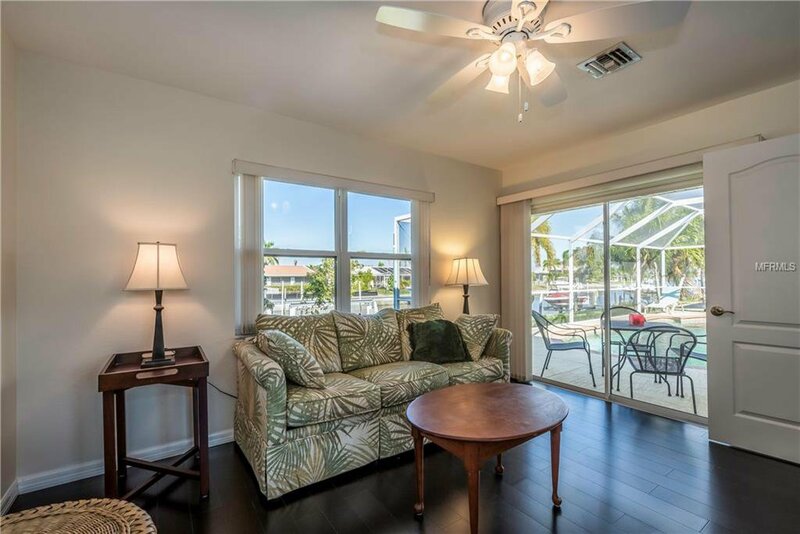 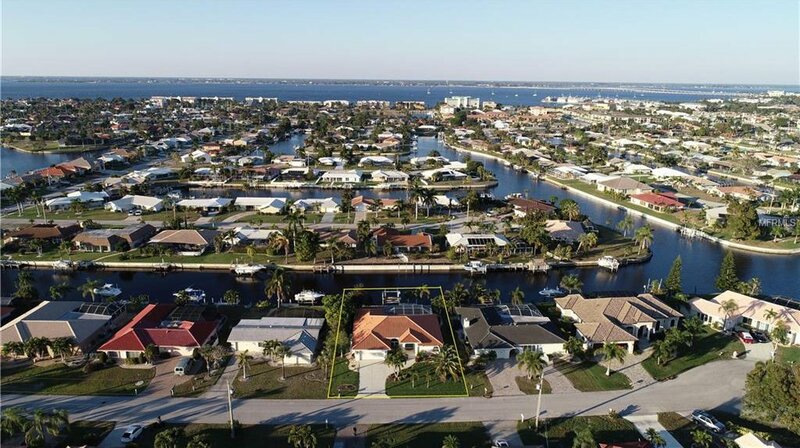 Centrally located in desirable Punta Gorda Isles, close to historic downtown, yacht clubs, and entertainment. 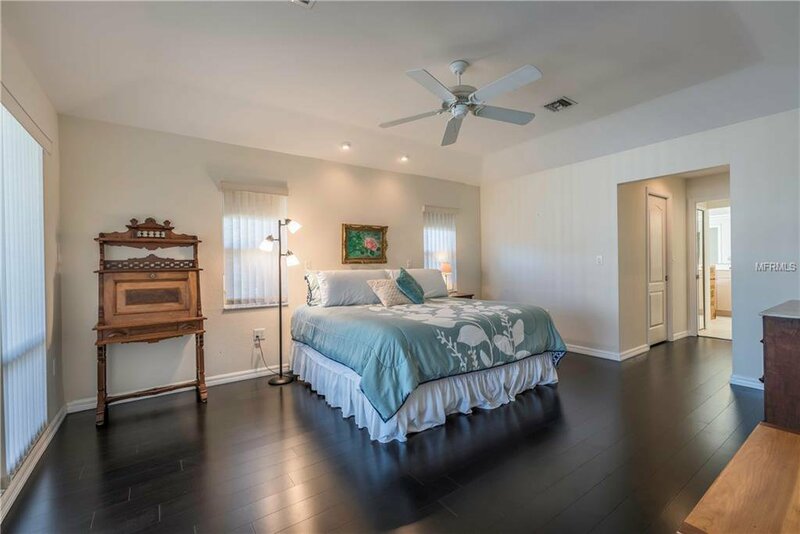 This home features 77ft. 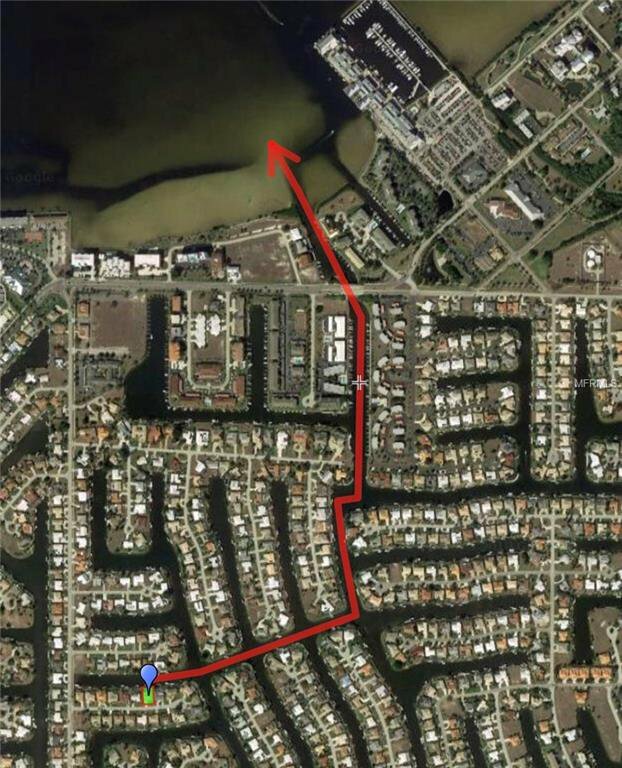 of recently replaced city maintained concrete seawall, concrete dock w/power and water, 13k boat lift with new pilings, and public utilities (city water/sewer). 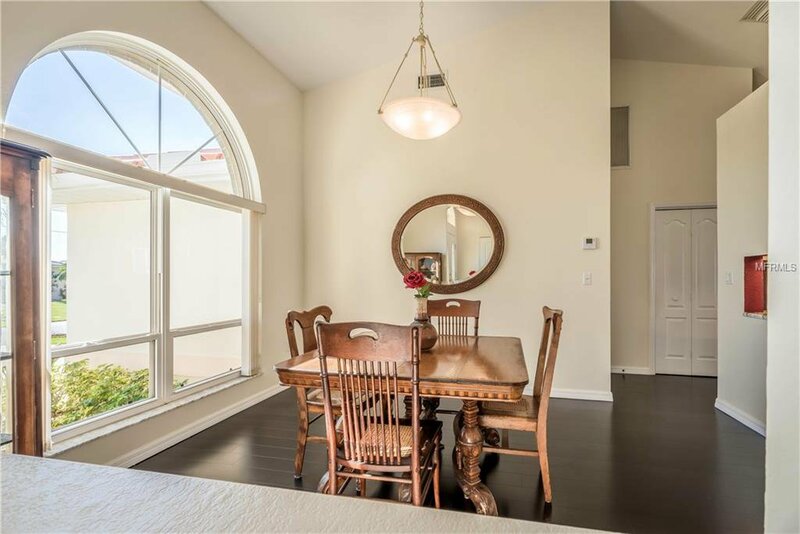 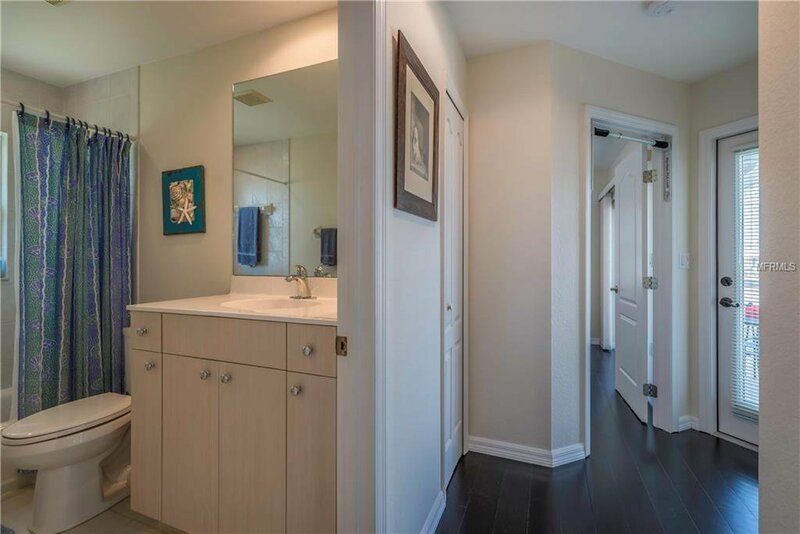 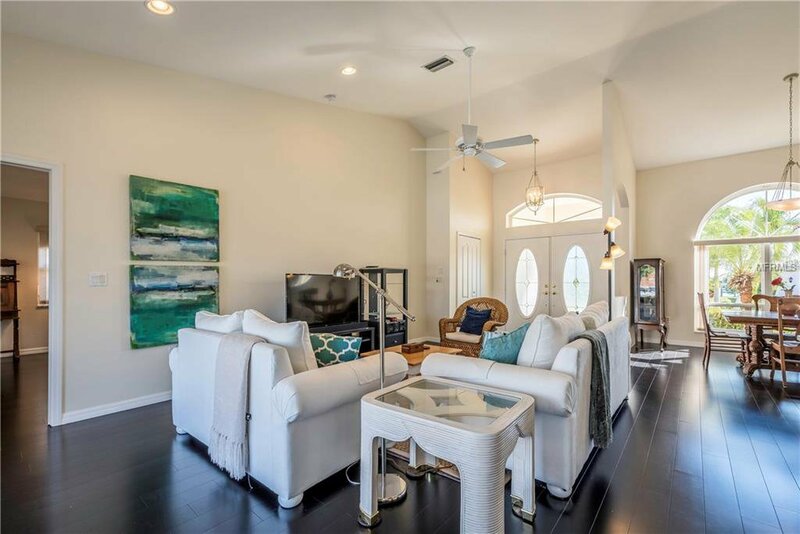 Interior features include an open and airy floorplan with high ceilings, perfect for family or entertaining. 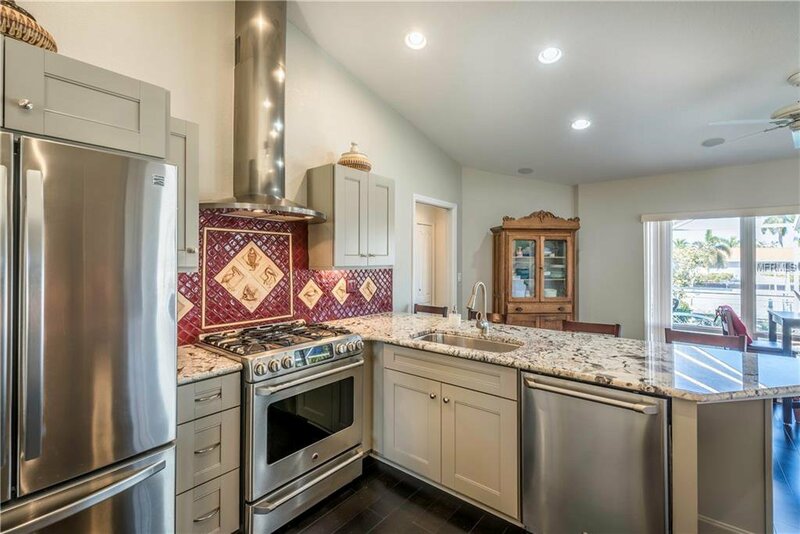 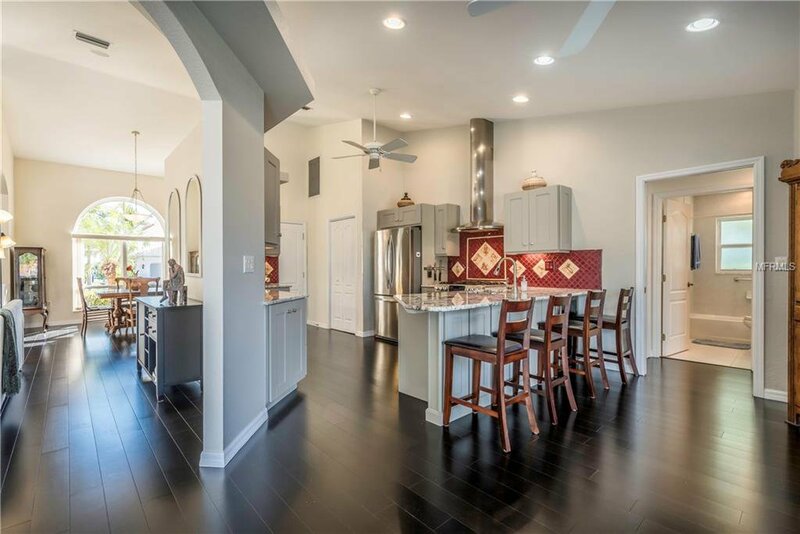 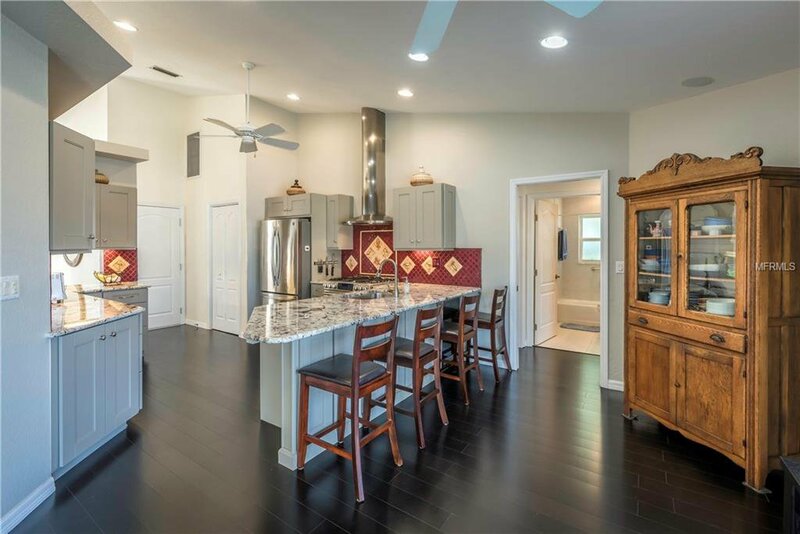 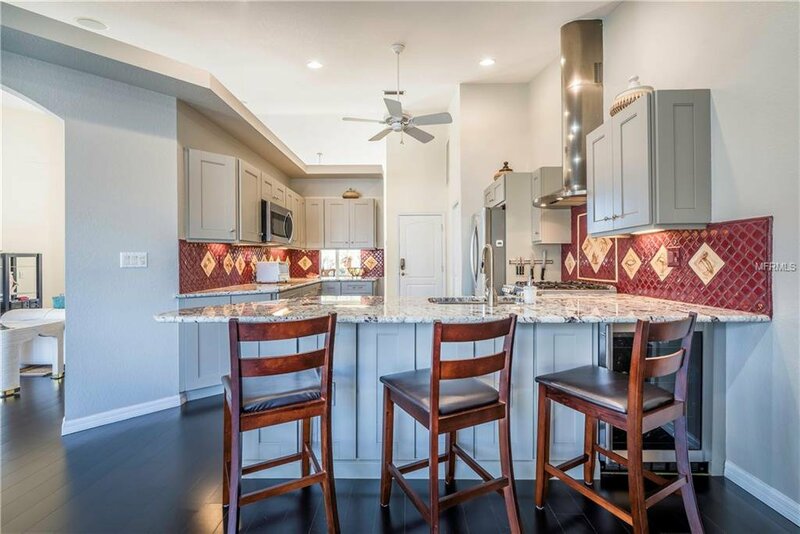 Enjoy cooking in the gourmet kitchen with upgraded granite counter-tops, breakfast bar, newer stainless appliances, gas range, custom decorative backsplash, extra large walk-in pantry, as well as wine cooler. 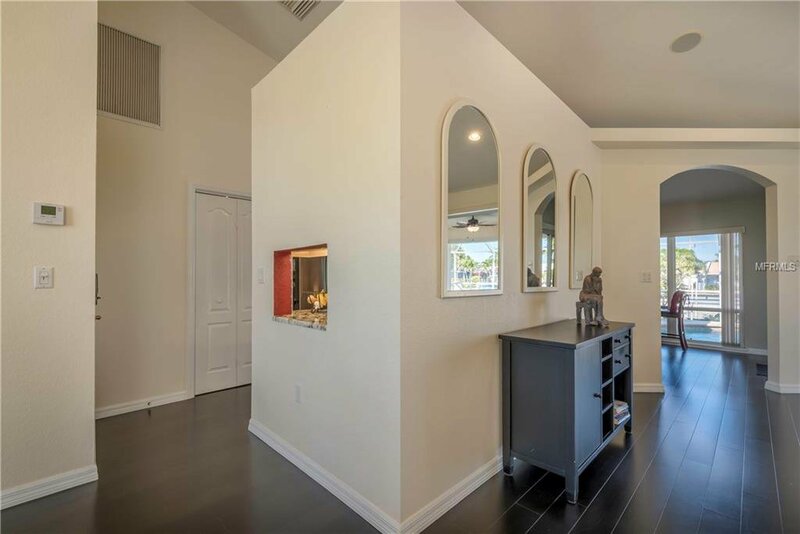 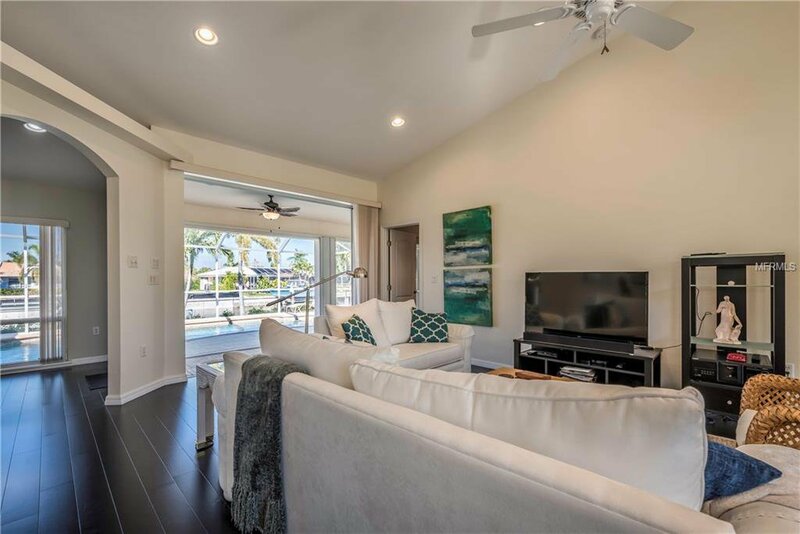 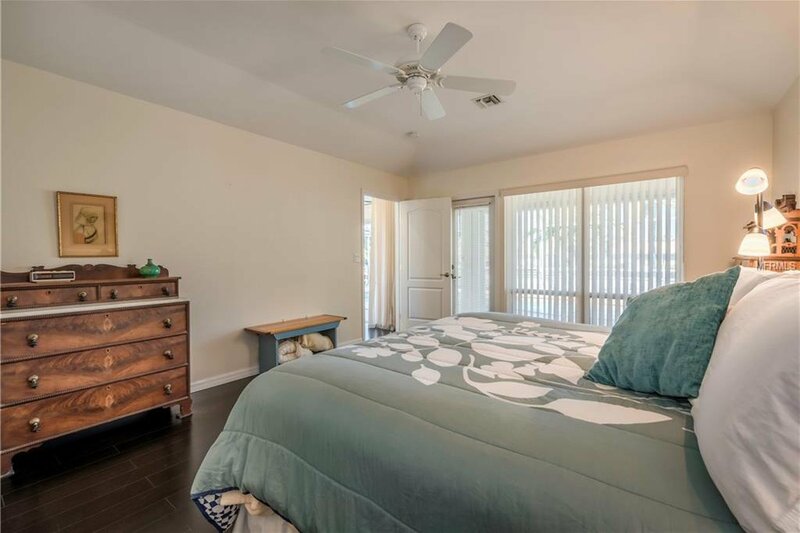 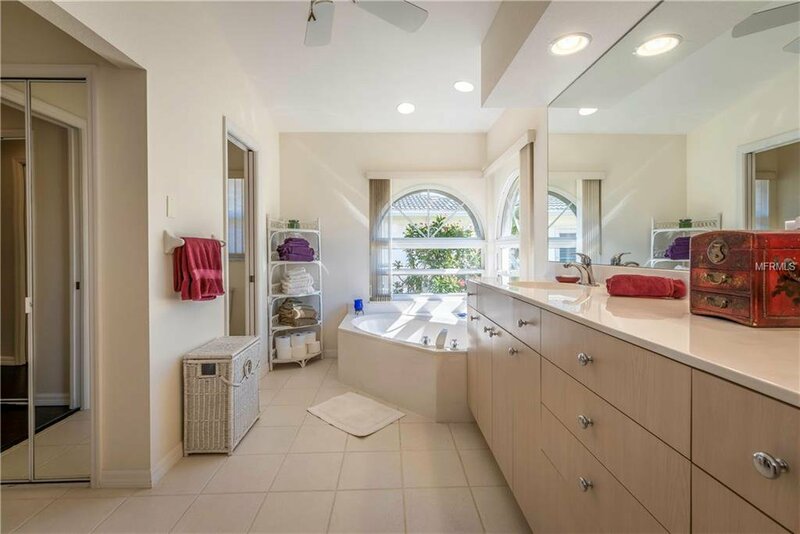 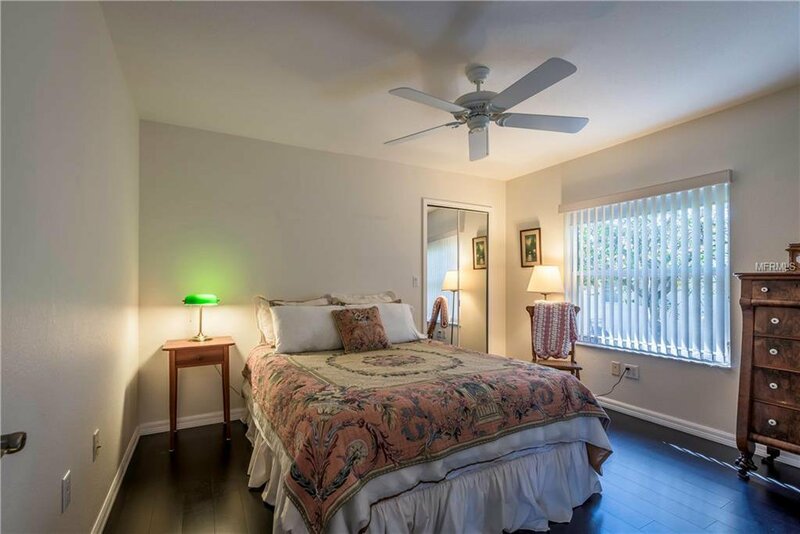 Other interior features include, split bedrooms for added privacy, convenient guest/pool bath, durable engineered bamboo flooring in the main areas, pocket sliding glass doors, window treatments, and much more. 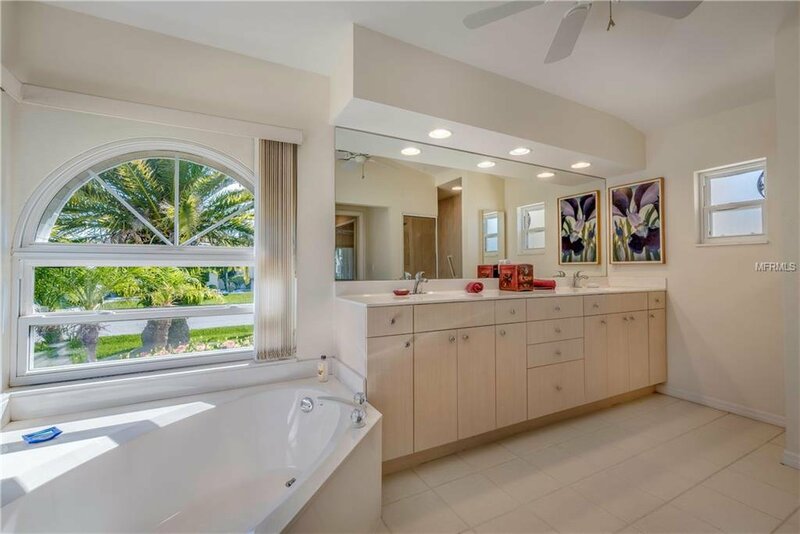 Retreat to the luxurious master suite featuring a large walk in closet, dual sinks, garden tub, and roman style walk-in shower. 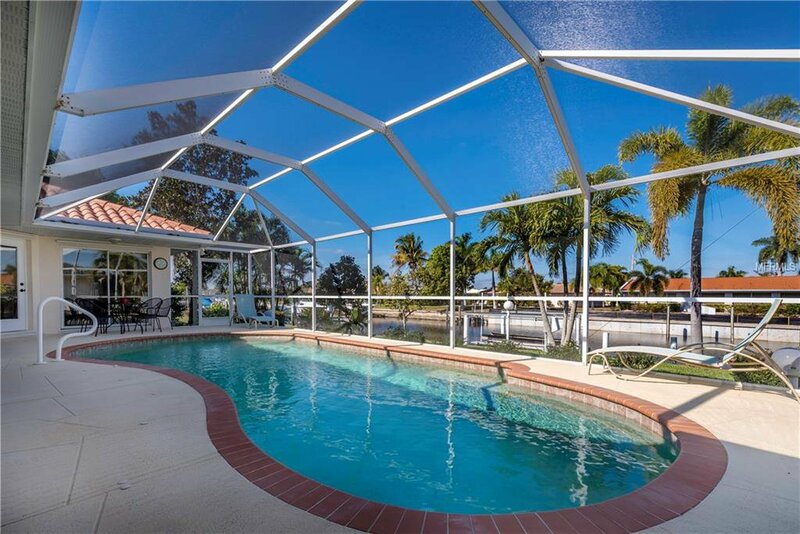 Your living space extends beyond to the covered/screened lanai with a heated salt water pool. 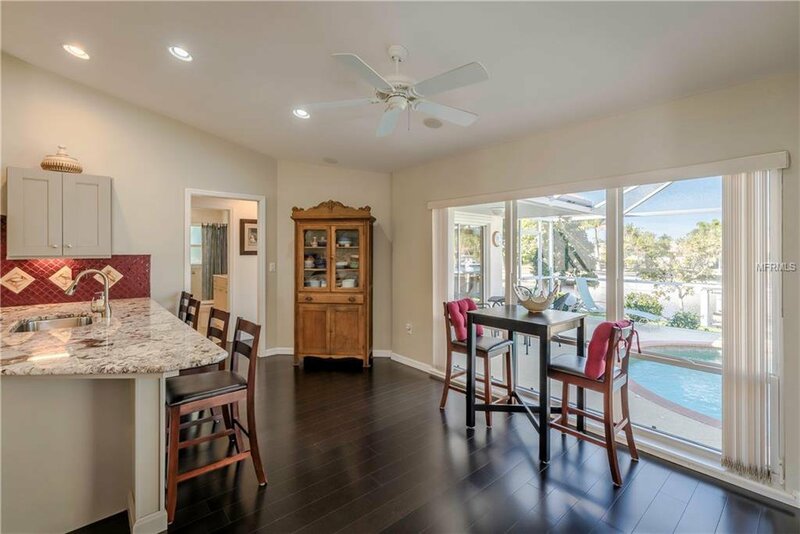 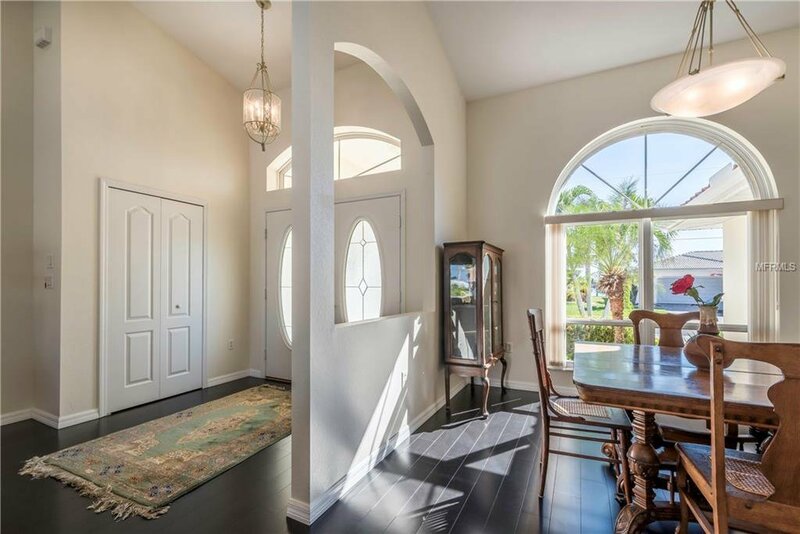 Exterior features include, insulated windows, hurricane protection, guardian whole home generator, lush landscape with fruit trees, irrigation, recently replaced sod, landscape curbing, and rain gutters. 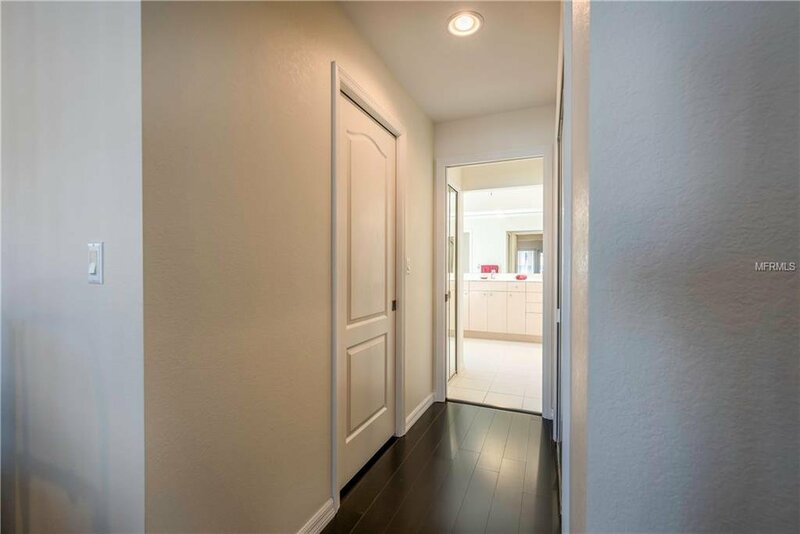 This property won’t last long, schedule your appointment today!